Advanced High-Strength Steels (AHSS) are complex, sophisticated materials, with carefully selected chemical compositions and multiphase micro-structures resulting from precisely controlled heating and cooling processes. Various strengthening mechanisms are employed to achieve a range of strength, ductility, toughness, and fatigue properties. These steels are not the mild steels of yesterday; rather they are uniquely engineered to meet the challenges of today’s vehicles for stringent safety regulations, emissions reduction, solid performance, at affordable costs. The AHSS family includes Dual Phase (DP), Complex-Phase (CP), Ferritic-Bainitic (FB), Martensitic (MS or MART), Transformation-Induced Plasticity (TRIP), Hot-Formed (HF), and Twinning-Induced Plasticity (TWIP). These 1st and 2nd Generation AHSS grades are uniquely qualified to meet the functional performance demands of certain parts. For example, DP and TRIP steels are excellent in the crash zones of the car for their high energy absorption. Steels with yield strength levels in excess of 550 MPa are generally referred to as AHSS. These steels are also sometimes called “ultrahigh-strength steels” for tensile strengths exceeding 780 MPa. comparable or improved capabilities at significantly lower cost. The principal difference between conventional HSS and AHSS is their micro-structure. Conventional HSS are single-phase ferritic steels with a potential for some pearlite in C-Mn steels.. AHSS are primarily steels with a micro-structure containing a phase other than ferrite, pearlite, or cementite – for example martensite, bainite, austenite, and/or retained austenite in quantities sufficient to produce unique mechanical properties. 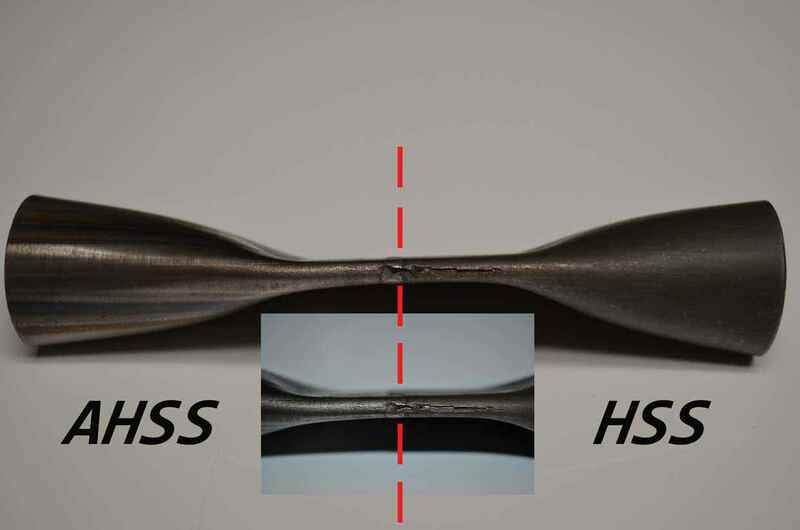 Some types of AHSS have a higher strain hardening capacity resulting in a strength-ductility balance superior to conventional steels. Other types have ultra-high yield and tensile strengths and show a bake hardening behavior. For more information about this unique family of advanced steels, download the Advanced Strength Steels applications guidelines.